Today, all the metropolitan cities have expanded & reached their saturation points. So their surrounding suburbs were developed & today even they are reaching a saturation point. Looking at Mumbai, one could have imagined a affordable home in Mumbai city some 20 years back. Now owning a home in Mumbai is beyond reach of many. Ten years back, Navi Mumbai was within reach for many home buyers. But today, housing in Navi Mumbai too is slipping out of reach of many. Certainly Not...! 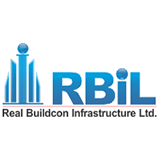 Real Buildcon Infrastructure Ltd. (RBIL) is here to give that opportunity for home seekers to own their homes at locale with an eye on the future. Liberty Horizons, is inspired by the intention to provide homes for all at an unimaginable rate, so as to realize the dream of each person to have a property of one own. While providing you that dream living, RBIL has ensured that your dream home will not be a compromised one.